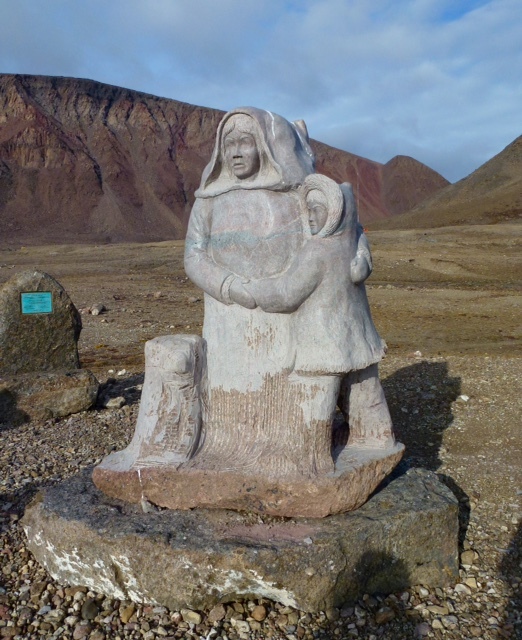 PROMPT: For this writing, I gave a list of prompts that had to do with returning to the Earth and I believe it was the word hope that stuck with Julie to create this moving and powerful piece about her recent travels to Nunavut. It was over sixty years ago when the government determined greater human presence was required in the North. Motivation driven by claims for sovereign territory, and territory meant a resident community. In their wisdom, one Inuit was the same as another. 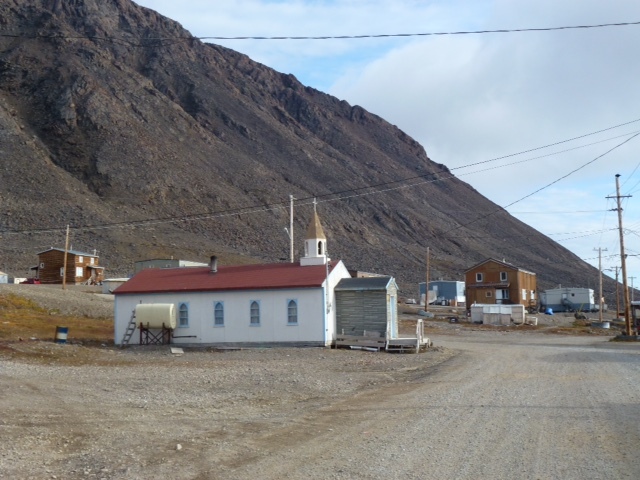 An Inuk knew how to hunt, build shelter, make warm clothes to protect against the elements and, as a result, the government relocated many from northern Quebec to Grise Fjord in the High Arctic. A savage place; a harsh land, shrouded with mist swirling over glaciers, and minimal sun to bring light beyond a few hours each day. Hunting over this landscape was unknown, mammals were different, birds were less, the sea roiling and angry. As with each of us, the Inuit are individual — they do share traits, but what they knew could be tracked and taken for food, clothing and heating in northern Quebec did not translate at 76 degrees latitude and beyond. Abandoned, left to make their way, this stranded band of families struggled to build a semblance of a new life. To sustain life among the babies, grandmothers, brother and sisters, each learned new ways. Sled dogs, frustrated by different ice conditions and lack of nourishment, fought against their natural purpose. Men, embarrassed by a lack of ability to feed their families wandered off into the abyss – some never to return. Illness spread and numbers shrank. 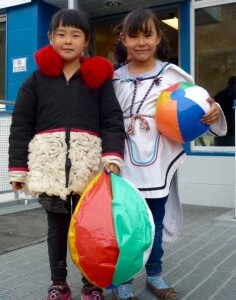 The Inuit are resourceful people, they connect as one with their land. 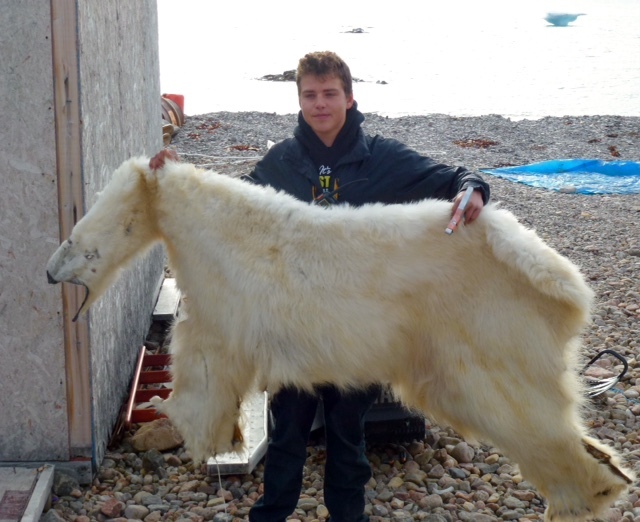 Gradually, they learned where to find the musk oxen, polar bears, Arctic hare and fox; followed migrations of geese, murres, guillemots over the years; built kayaks from bone and skins; and they speared belugas and narwhal once again. 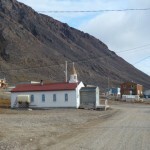 Slowly, despite great loss, the community held fast, connected by each person’s desire to survive, always dreaming of the promised return to their home in Quebec. Some sixty years on, the monument was built, an apology given – so little, so late for the hardships endured. It remains a small community, each knows the other, and each remembers one who came before. As I step on their earth, greeted with smiles and songs sung from deep in throats, I feel the earth solid, powerful beneath my boots. Young man, Olaf, guides me to his school; he’s the only student in Grade 12. A school emblazoned with colour; brilliant images drawn in every shade and hue possible. Colour to brighten the 24 hours of darkness which descends so many days. Olaf, proud to show his polar bear skin (the second kill of his tender, 17 years); his splinted finger tells the story of a severed tendon while harpooning his whale. These young people hunt with their fathers for food, for clothing, for cooking oil and because this is their way. Inuit live with and on the ice. They only take that which they need, they do not overfish, or hunt to extinction, or pollute the waters – their entire survival depends on this existence. When a polar bear or narwhal is killed, it is shared between the people in the community – there is no homeless beggar on any street corner. I stepped over their glacier, their tundra, their sea. I ate at their table and left with their forgiveness. Forgiveness for the devastation we continue to heap on this precious land and forgiveness for how they have been treated. I left with one hope that I can pass on their message, their humble request to respect Mother Earth. Wow. What an incredible piece of writing. Julie you really bring us right to that place so many miles away and open us up to a whole other world and part of history we have no idea about. Beautifully written! Julie, this is beautifully written; direct, from the heart, with care, respect and conviction. This should be submitted for wider publication. I’m thinking readers of “Canadian Geographic”, “The United Church Observer”, and the “Globe & Mail” would welcome reading this.